Home → Newbuilding Contracting for Commercial and Offshore Vessels. 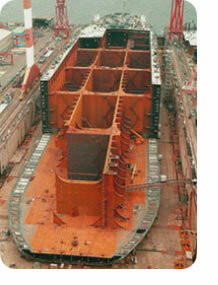 CHRIS MARINE is engaged in Newbuilding Contracting with several major and middle size shipyards. Our team has established close ties with International shipyards and design-companies. We have a good overview of the shipyards activities, their building capacity, payment terms, and acquire off market knowledge of new projects and availabilities. We provide our assistance when you visit the shipyards in question for your project.